Kitchen glass splashbacks have come a long way since the days when they were simply a more hygienic alternative to wall tiles and tended to serve a purely functional purpose; protecting the wall area around the hob or sink from nasty stains or splashes. 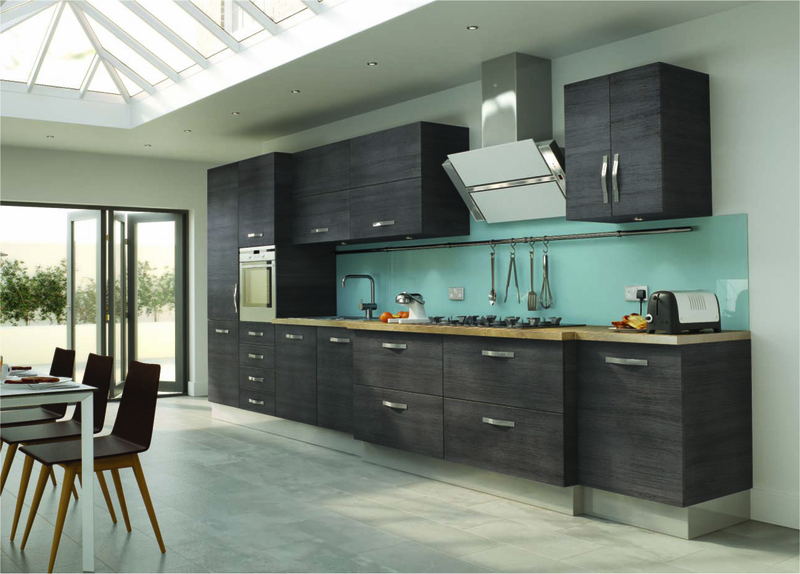 In fact, there are a growing number of options now available for those wishing to make a bold statement or add that touch of individuality to their kitchen, especially in a society in which the kitchen is very much the hub of the home and becoming more and more central to family life. Glass splashbacks also have the advantage of being primarily manufactured from toughened glass, making them extremely durable and heat resistant; aside from the fact that they are very easy to clean and maintain in that ‘just fitted’ feel. Well, budget is usually a major consideration for most people and this is likely to affect, not only the type of splashback that you choose but also the expanse of wall that you’re going to be able to cover. Standard mirror and coloured splashbacks are some of the most affordable, followed by printed and patterned splashbacks, with toughened mirror and crackle or ‘ice-cracked’ glass splashbacks topping the range. Another factor that is likely to affect the cost is whether the glass needs to be shaped or requires additional cutting; to extend up to an extractor or remove cutouts for electrical sockets. Then, of course, if you’re not particularly DIY savvy and you’re hoping to cover all of the area under the wall cupboards with glass, then you may need to factor in the additional templating and fitting fee; although, we have produced some handy guides that will help you to measure and fit your glass panels yourself. Therefore, by far the simplest and most popular option is a single coloured rectangle behind the hob, under the cooker hood. If you’re preferred choice is a coloured glass splashback, then you will need to decide whether you want a neutral or complimentary colour, that matches your walls or kitchen furniture or whether you are looking to make a bold statement, using a contrasting or vibrant injection of colour. It’s always worth remembering that not everyone will share your tastes, so unless you are planning on staying in your home, for a while, you may want to choose a colour with a more widespread appeal. What’s more your own tastes may change in the years to come, so be sure to opt for a colour that you know you will enjoy for many years. Finally, if you’re the sort of person that detail oriented, then it is at least worth getting swatches of your preferred colours, so that you can compare them in-situ and for those who are very particular, order a sample to make doubly sure! Many people like to create a focal point in their kitchens and a great way of doing this is by combining coloured splashbacks with a single printed splashback; particularly behind the hob, under the hood. A digital print provides the perfect opportunity to add a touch of individuality and to truly personalise your kitchen area. What better way, than with one of your own personal digital photos. Alternatively, there are literally thousands of high quality images online for you to choose from, in fact, if you don’t already have a favourite image in mind then you may find the selection a little overwhelming. Of course, you don’t have to have a combo of colour and print, large panel printed glass splashbacks work very well by themselves and the result is often breath-taking. It is worth mentioning that it is a little harder to find suitable images for these larger panels and that finding that perfect images may require the additional services of a specialist design company or photographer. With glass splashbacks becoming ever more popular, a number of design companies have emerged that are experimenting with shades and textures to create even more variety in colour and style. This has also lead to the development of new technologies that allow the addition of crushed minerals, metal elements and even a combination of different pigments to the back of a toughened glass panel to create a wide range of sparkling and shimmering effects and allow the truly creative among us to have a ‘field day’!